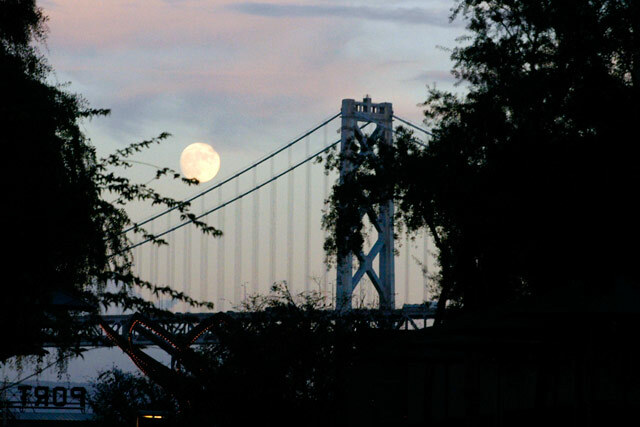 Full Moon over the Bay: A cool moon rise over San Francisco. This full moon seemed to wreak havoc on people's emotions today. Snapped on: Oct. 26, 2004. Nikon D100, Tamron 28-75 1:2.8 XR Di, 75mm ISO800, Crop from wider shot, didn't have my big zoom, just this mid-range one.